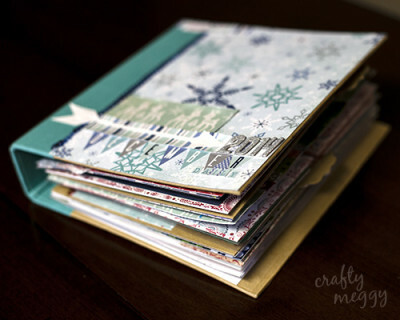 Do you create a December Daily album? 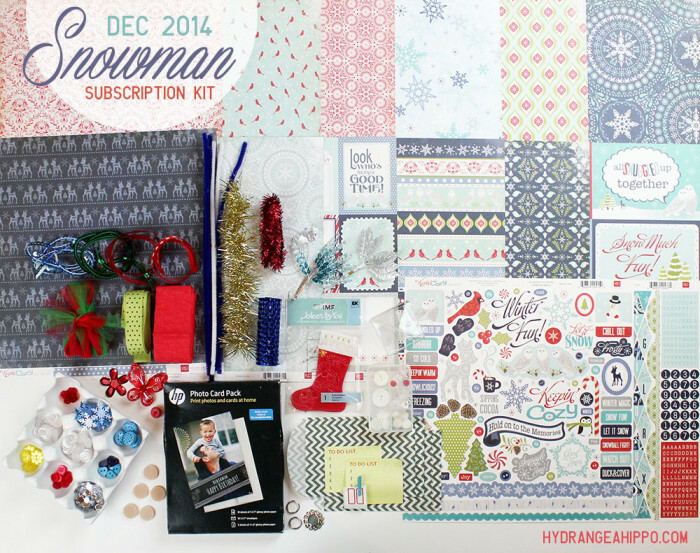 We've created our December kit with this very project in mind! Our guest designer this month, Megan Blethen, shares how she created a custom December Daily album with our kit!! Hi, everyone! 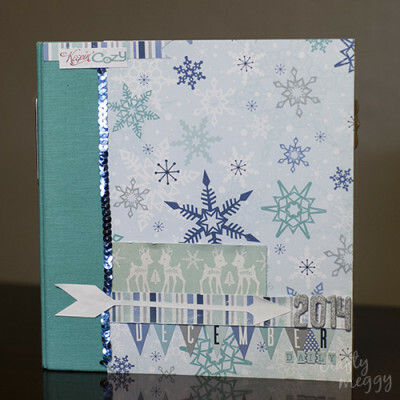 My name is Megan and I am a scrapbooker, crafter, mom, and photographer. 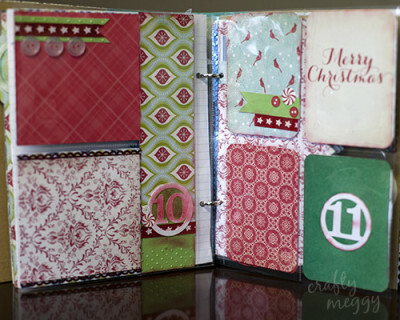 I blog over at Crafty Meggy and you can also find me on YouTube as Crafty Meggy. 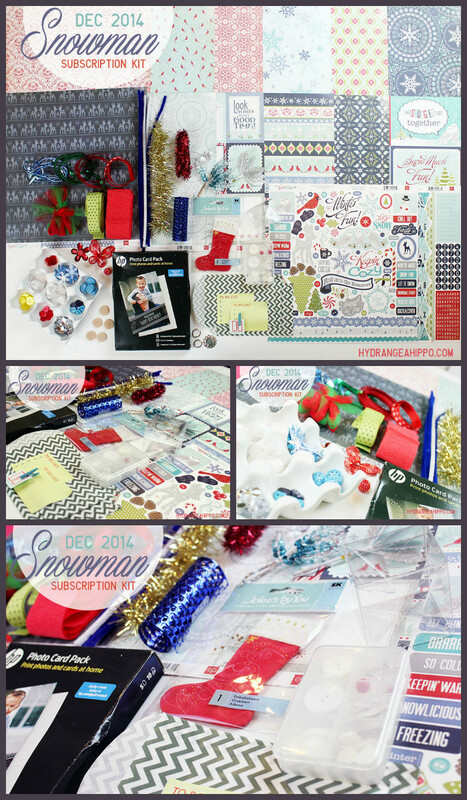 I'm excited to be here to share my December Daily Album I made with the Hydrangea Hippo December kit, “Snowman”. I was really impressed with how much came in the kit! 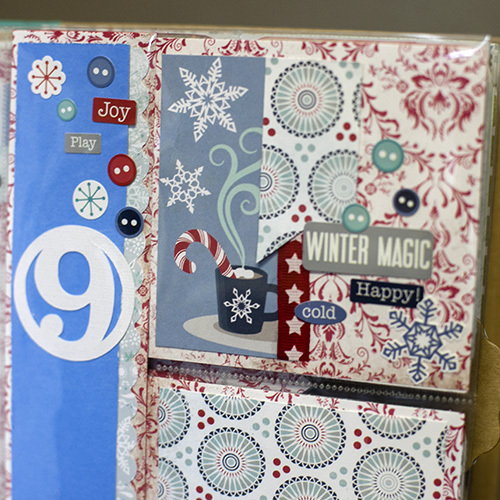 I normally have to supplement kits that I buy with things from my stash and I didn't have to do that with this kit! It was great! For this project, I started in November so there aren't any pictures in the album yet, but the pages are mostly done, I just have to add a title and pictures. I made a video so you can see the whole album. I used a Simple Stories Snap album and covered the front with some of the papers from the kit. This kit was a lot of fun to play with and to make this project out of! I tried to keep the pages pretty simple since I don't know what kinds of pictures I will be putting on each of them yet. I will be printing most of the pictures from home since there was an HP Photo Card Pack with Photo Paper included in the Hydrangea Hippo monthly kit. 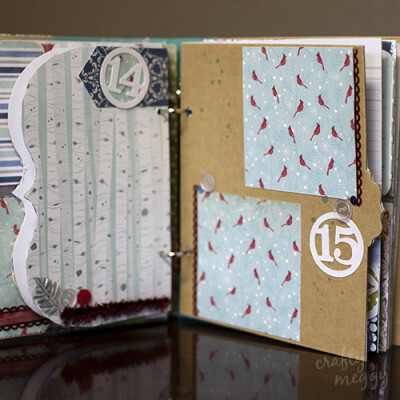 Megan will be posting daily updates on her blog as she adds photos and journaling to the pages of the December Daily album so be sure to follow her progress there.